that Instagram is not worth your time. that Instagram is more difficult than other social media, because it allows only one link. that it is hard to come up with everyday content ideas. And it makes you feel pushy while promoting your blog in every single post. If yes, it definitely does not have to be this hard. Yes, the first 1000 followers are the hardest, but don’t make that quit you or use the wrong strategies to get them. Because the juices you’ll get after that are really fruitful. Believe me. And that is why I wrote this article. I remember when I started out on Instagram. It was devastating. The only content I knew to post was to promote my blog. So, everyday I’d wake up and think what would I post today – because I only had a limited number of blog posts and I had already promoted each one of those in one of my Instagram posts. So, in this post, I’m going to talk about how to promote blog on Instagram strategically such that it makes your followers jump on it. 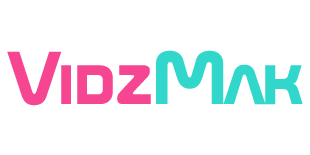 The #1 search engine you will master that will start bringing you traffic in a week. First things first. If you have the wrong audience, it won’t be interested in your content, hence, it won’t read your captions, and hence it won’t visit your blog. You need the right audience to follow you so that they are interested in your content, and hence, your blog. 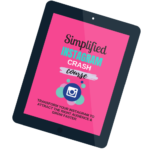 If you’ve been on Instagram for a while and have been trying a number of unrelated strategies to attract audiences, chances are that you’ve been attracting the wrong audience to your profile. How to know that you have wrong audience on Instagram? 1. Do you see new followers engaging with your content? No? It means you are either attracting spammy followers or wrong followers. 2. Have your number of followers increased but the engagement is still the same? Because you are attracting followers who are not taking interest in your content. If they are not interested in your content, they are the wrong followers. So, what are the right Instagram followers? The followers that are interested in the content you post. For instance, the right audience for a weight-loss coach would be people who are overweight and want to lose weight. The wrong followers for this coach could be slim and perfect bodied people, or overweight people but who don’t want to lose weight. Now, I want you to pause here and brainstorm about what kind of people would be a perfect fit to be your follower and write those qualities down on a paper. Once you’ve done that, pick up each quality and write down the struggles they are facing and then write the solutions to those struggles that you could provide. Providing content that resonates with this audience would automatically attract the right followers (*your* followers) to your account. No one will know that you own a blog until you tell them. You could be posting your pretty pictures or tips around your niche that gets a ton of attention. But this does not fulfill your business goals. Does it? To fulfill your business goals, you need an audience. An audience that visits your blog and engages with it. How to get Instagram followers to visit your blog? 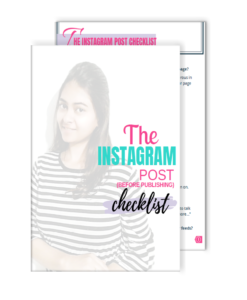 Start promoting your blog on Instagram! But not just promoting – but “promoting strategically“. Now, this goes without saying, but I’m including this because MANY people make this mistake on Instagram and wonder why they are not getting traffic to their blog. Your blog content should be relative to your Instagram followers. If your Instagram content is all about your pretty pictures, your followers follow you because of your fashion sense and pretty pictures. But, if your blog is all about business, then promoting your blog to this fashion-based account won’t work since people are simply not interested – in other words, they are the wrong audience for your business-niche blog. 1. One day you introduce your blog to your audience through Instagram post and post an IG story about what is your blog about and what is your intention through it (Hint: to help *them*). 2. The other day you show them what different blog posts you have over there that they might be interested in reading. 3. Yet another day you show them a visual transformation of someone, or yourself using your strategies from one blog post. 4. Yet another day you show them a few comments on your blog posts and how incredible people find it. This is called social proof and people love it. It builds trust (which is important in every business) & makes them wanna go visit. Now all these posts shouldn’t be posted simultaneously otherwise your audience would get annoyed with you pushing them towards this. Mix in these with some funny, behind-the-scenes photos of you working on your blog. Or something else that makes it less pushy and more entertaining, but related to your blog! 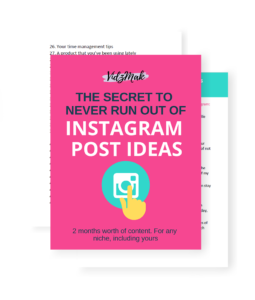 Ready to use a strategy to promote your blog on Instagram? 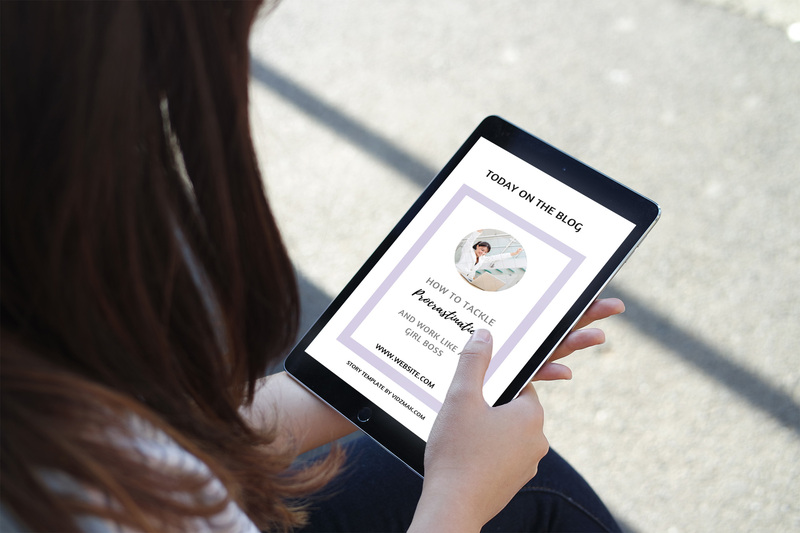 Click here to learn my content strategy that flawlessly promotes your blog while keeping your followers interested. You see, how this whole thing connects? Here’s why this strategy works. Highly promotive: Each post about visit my blog – Umm, not very interesting, in fact, annoying! Highly valuable: Posting tips over tips around your topic and not ever talking about what you do or anything else about you. – People love you, but they wanna know more about you, what you do, where can they find more content from you (hint: your blog), how you spend your days (hint: connection content – new content for your stories) etc. You see, mixing both of these contents works the best. Promote your blog along with providing valuable content. And throw in some personal touch to build a connection with your audience. Talk about your habits, your personality and how you manage everything altogether because people love to connect with other people and knowing such things make them feel like they know you as a friend. Not calling your audience to take actions is the biggest mistake you might be making on Instagram. You wrote an enticing post which is perfect and makes people want to read more, but you forgot to tell them what to do next? Your followers would read your content think it is amazing, and would start scrolling again to read someone else’s post. What does this give you? A like? Probably. Not even a comment! Because you didn’t ask them to! People are so involved in scrolling their news feeds that they don’t take any action until and otherwise externally told them to! Believe me, simply asking them to comment, like, or share, or visit a link can make them do that. 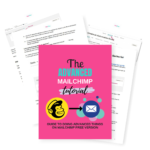 You might be thinking this is just a really simple thing and won’t work, but believe me, all marketers around the globe work on this ONE strategy – ask! Not asking means getting nothing – lost followers, lost likes, comments, visitors, and most importantly lost customers. Your job is to create awesome posts, make your audience to stop, read your caption and take action. Now, this action might be anything – according to your business goal. But, for the sake of this article, I assume that your goal is to drive massive traffic to your blog from Instagram. 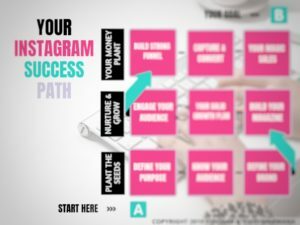 So, how to drive massive traffic to your blog from Instagram? Start calling your audience to take small steps towards your blog. These small steps will make them trust you and want more content from you. Doing this again and again will make your followers habitual to following your CTAs. And this is REALLY good for you because in the long run, you’re going to ask for bigger actions, like buy my product or shop from my website. Asking this bigger action straight-away will make them run away, for sure! So, start by asking small actions and they will start to follow them. About 500 million people use Instagram everyday, but a whole lot of them don’t even know what is a “link in bio”. So, if you make someone interested in your blog and just leave them with “find the content in the link in my bio”, they are gonna get confused & they will start scrolling because you just said something that they don’t know about. You just lost one lead to your blog! Create a very short video explaining what is a link in bio and put it in one of your highlights. Your username with @ in the beginning becomes a link. (Duh, you already know that). So, along with your call-to-action that says visit the link in my bio, provide your username with it. This will give them a link to visit your profile. where @YourUsername should be replaced with your username. The arrow will let people know that it needs to clicked. Once they click your username, they will land on your account and then, they will click the link in your bio. How easy is that to type, right? Someone who is really interested in the challenge and doesn’t know how to visit the link in bio, would happily type in the challenge link and join it. If you’re using stories, and you have more than 10k followers, then you have the advantage of using link in your stories and your followers can just swipe up to access that link. 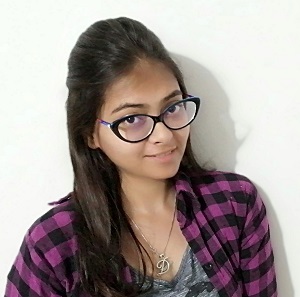 In this case, there are many beautiful swipe up GIFs that you can use in your stories to call them to visit the link. 1. You can provide a short link, like I said in point Type and Visit. 2. You can send them to the link in bio with a link to visit your account as explained in point provide a link to visit the link in bio easily. 3. This is insane and works like magic! All you need to do is to simply put a poll with Yes and No options with the question “Are you interested in this?” And for those who hit the YES button, you simply have to send them the link to visit. You can view the statistics to know who said “Yes” and who didn’t. I found this awesome trick from Chalene Johnson from one of her Build Your Tribe podcasts. This is one of the best strategies I could share with you. If you could walk away with just one strategy with this article, it’s this one. Include your followers in your blog decisions. Make them feel like they are a part of your community and that they run this blog along with you. Whenever you get stuck with decisions about your blog, let your audience make those decisions. 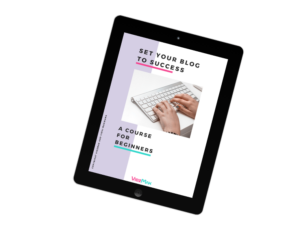 Whether you should create an eBook or an eCourse around a certain topic? Or what should your next blog post be. These kinds of questions take the hassle out of your shoulders and makes things simple and easy to follow. These are the questions where you are creating content for your audience but by your audience (because you are asking them, right?) So, you can’t go wrong with these decisions when they choose which content they want to see, because anyways, they are the ones who are gonna consume that content, right? Loved this point? You will love it more after implementing it, because you’ll see its enormous impact on your blog traffic and your audience’s engagement. So, I’d say instead of just thinking “I should use this on my Instagram account”, think about *how* you can use this? Comment down below with which blog decisions are you gonna make with your Instagram audience’s preferences? It goes without saying that consistency plays a major role in staying on top of people’s minds. I follow many email marketing gurus. All of them have their own email marketing related posts and products. Now, one of these marketing gurus that I follow is Meera Kothand. She emails me every single week with new tips and tricks. Now since she is the one from whom I hear every single week, she stays on the top of my mind. So if someone comes to me asking for an email marketing strategist, I’ll send them to her. If I wanted to join a course about email marketing, I’ll join hers. Why? Because she is the only one who is consistent – and so, the only one I remember. Sure, I follow other email marketing gurus who have the same kind of content that can solve my problem, but, Meera’s consistency sets her apart and makes herself at the top of my head. This example clearly shows how much a difference consistency can make. Right? Consistency is hard. Life gets into the way, something else may show up. But, if you still stay consistent, that alone gets you noticed. Consistency + Quality content are the only things you need to win people’s hearts and get followed by them. You probably already know that promoting your blog posts is a major part of promoting your blog. In fact, promoting your blog posts is your only goal. But it might get difficult to come up with new ideas to promote your blog posts in a way that your followers WANT TO READ them. Isn’t it? Sharing Blog Posts Brings Crickets? There you have it. 6 ways to strategically promote your blog on Instagram for massive FREE traffic. 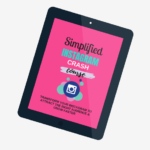 Get Instagram followers HOOKED to your website! 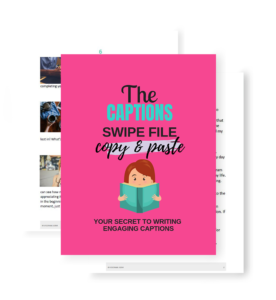 Grab Instagram STORY TEMPLATES designed to bring traffic to blog posts.